The Omniscient Mussel, hostess of the famed OperaPlot contest is writing a piece about opera standing room culture, and has put out a call for standees’ tales on the experience. Below are the my submitted musings. 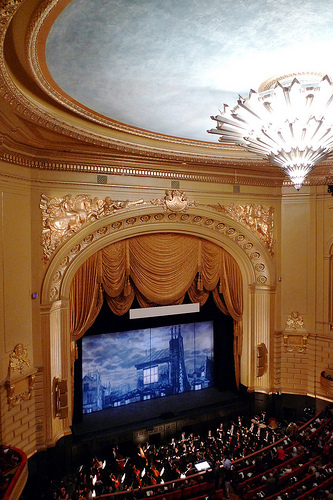 I’ve enjoyed standing room at San Francisco Opera many times over my past 17 years in the Bay Area. My first experience of it at The War Memorial Opera House was from the rear Orchestra at the ’95 Die Walkure, starring Jane Eaglen and James Morris. It was also my first-ever live Ring opera. Having only familiarized myself with a few recorded highlights, the score was surprisingly lyrical, and Jane’s approach refreshingly bel canto. The first half flew by, and I nearly forgot I was standing, so captivated I was by the evening. Plus, given that opera singers work SO hard, standing for hours themselves, whilst exhibiting a mastery of language, character, vocal technique…it’s a worthy trade. Cupid struck my heart with this taste of the Ring and I haven’t looked back since. OK…I confess, I did that night what many daring standees do, which is to trickle down into a seat left empty by someone who bailed during the intermission. SO, I got an Orchestra seat for the price of standing room, at least for half the performance. However, I rarely try that stunt these days, and the ushers, perhaps understandably so seem to be more stern guardians these days. My most recent standing room at SFO was from the rear Balcony at the Verdi Requiem. It was a gala performance that served as the farewell to Donald Runnicles as Music Director, and featured Heidi Melton and Stephanie Blythe. My verdict? The rear Orchestra offers the better standing room views, but the rear Balcony offers the finer acoustics…it’s a trade-off. Perhaps the deal breaker in favor of the rear Balcony is that I’ve observed many of the senior standees sitting or laying on either the floor or a bench near the back wall, enjoying just the aural pleasures alone. I have a special admiration for them, as they hearken back to the days of gathering around for an old radio show, creating one’s own visuals with only a ripe imagination.